The beauty of the real estate industry is how it is constantly shifting, with new trends, tools and resources appearing each day. The beauty of the real estate industry is how it is constantly shifting, with new trends, tools and resources appearing each day. What this means for professionals involved in the housing market is ample opportunity to reach clients and stay connected in exciting, affordable ways. 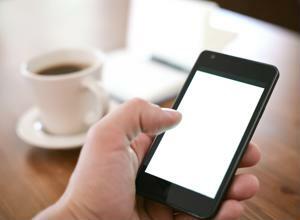 One of the biggest advances of the past several years has been mobile marketing. It seems that this industry is tailor-made for these types of strategies, since most Americans are now attached at the hip to their smartphones. What's more, these devices are being used by most homebuyers to browse listings and stay up-to-date, so a real estate professional not on board could be missing out. That being said, it is important for agents and others in the industry to figure out how to market effectively, whether that means including mobile devices into a plan or other creative solutions to expand a business and stay prosperous. Mobile marketing really shines because of its ability to reach potential clients early on in the process, perhaps even before they've fully committed to the concept of buying real estate. According to Chris Benson in an article for Call Loop, mobile marketing can be beneficial because this segment is improving overall. The founder and CEO of Call Loop explained that many consumers aren't totally adept in the world of computers, but smartphones and tablets have simplified that relationship. Now, they can be reached with a wider range of strategies than ever before. In other terms, potential clients such as this may not have once been accessible, but now they could be a whole new crowd interested in a real estate agent's services. In addition, Benson noted that text messaging is on the rise as a form of mobile marketing. Professionals can reach out to clients via SMS, and send them information on a property quickly and easily. Ideally, they'll be able to learn more about listings and find their dream home faster than ever before. Regardless of strategy, real estate agents need to bolster their marketing with great information. With Courthouse Retrieval System, that is as easy as ever. In-depth and comprehensive access to mortgage records, property data and much more can set any professional apart from the pack. Marketing strategies have changed quite a bit over the years, and it is important for real estate professionals to understand what is going on in the industry and how they can take advantage of these trends. One way to do that is with some creative strategies. According to Realtor Magazine, an example of outside-the-box thinking is unique business cards. There is an option to send out house-shaped cards using 3-D printing, and this could be exactly the attention-grabbing move that is needed. If this is too fancy, simply reinventing the traditional business card using a new design could work. They could even be taken miniature, and small cards can still get the point across. Overall, real estate agents should want to expand their horizons with marketing. Creative and mobile strategies are perfect methods to appeal to a wide range of clients in a cost-effective fashion.